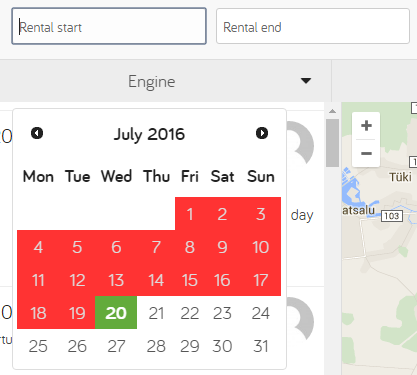 One of our previous posts on how to use Autolevi inspired us to write a post about how to find a suitable rental car, as well as some details that are sometimes overlooked or forgotten, but need to be taken into consideration. 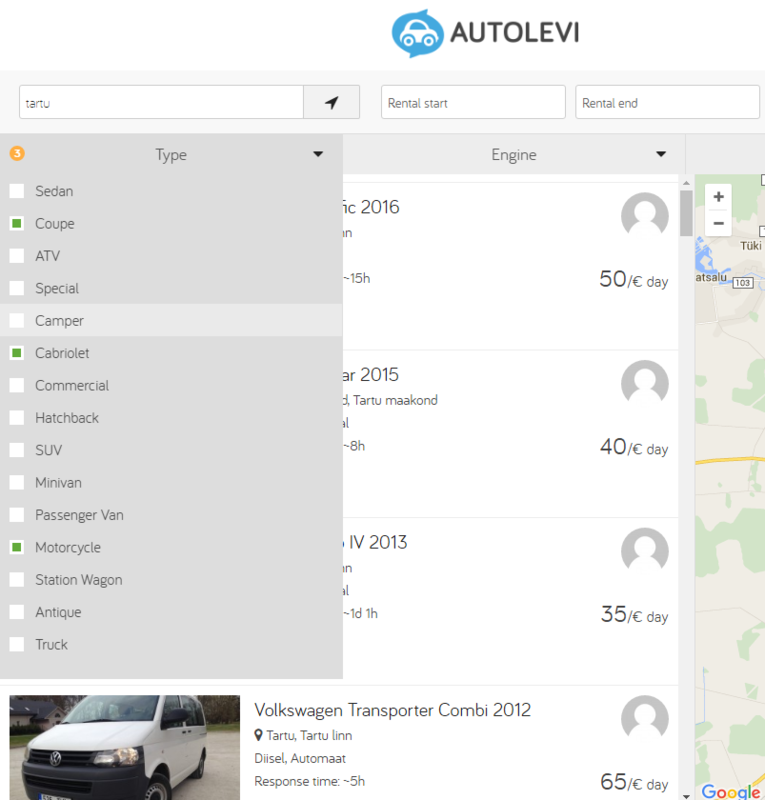 We will also show you some useful filters that you can use when selecting rental cars on Autolevi. The first and the most important factor of car rental is how much you are ready to pay for the car. 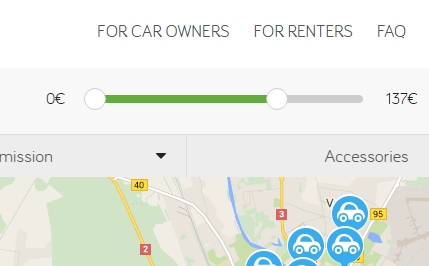 Autolevi cars over a wide variety of prices, and it is possible to rent a car from 10 EUR per day. If you search for cars according to their price, the cars will be sorted starting from the lowest price. When comparing renting a car and owning a car, the biggest advantage of renting a car is the ability to carefully consider the need for the car. Taking that into consideration, it will be easier to find the right car. For example, a van will be the best for transporting furniture, a nice, fast car will be the best for impressing your lady, an economic car will be the best for a weekend trip to a distant location and a larger vehicle with more seats and luggage space will be the right car for a holiday with the whole family. There is no big use to book a car for a month if the car is up for short-term rental and vice versa – the car owner might not want to rent out the car for a day if it is available for rentals longer than a week. This is small difference from traditional car rentals, so please keep that in mind! 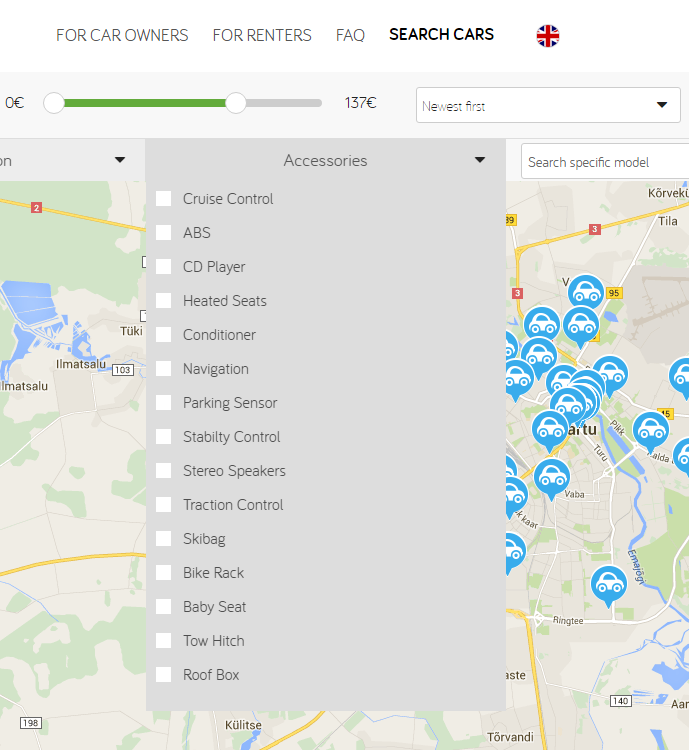 It will be the most convenient to look for car in the city that you will be using it. It is especially useful when planning a trip in a certain place because it can reduce the costs of the trip significantly. If all the previous aspects have not helped to find the right car, choose the extras that seem the most important. Don’t forget to read the car description as well, because it might reveal some details that are good to know before the rental. We also advise you to not try something for the first time with a rental car. If you have never used an automatic car or a car with a diesel engine, do not try it with a rental car or be extra careful!